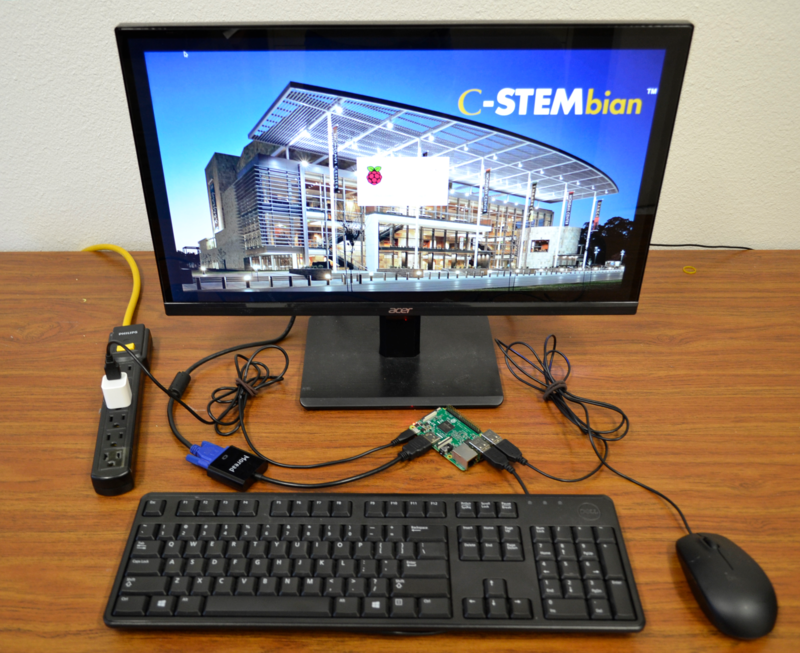 A Raspberry Pi can readily run stand alone, connected with a monitor, keyboard, and mouse. 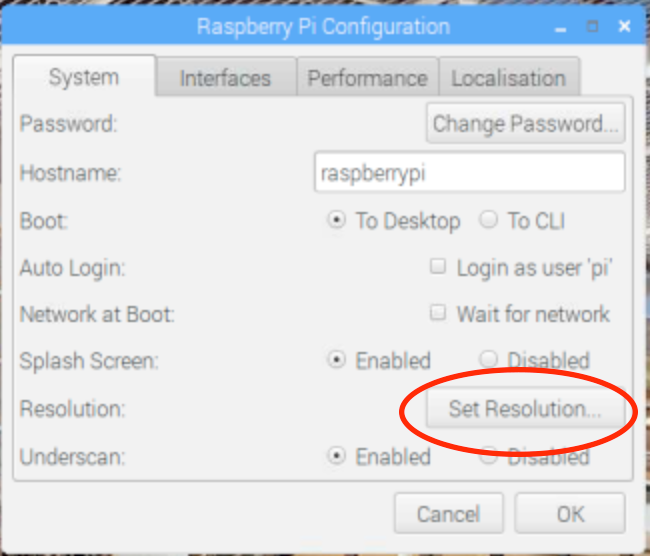 In order to set up your Raspberry Pi with a monitor, follow the steps below. 1. Connect your Raspberry Pi to your monitor using an HDMI cable. Connect your Raspberry pi to a power source (a laptop, USB wall charger, etc.) using a microUSB cable. 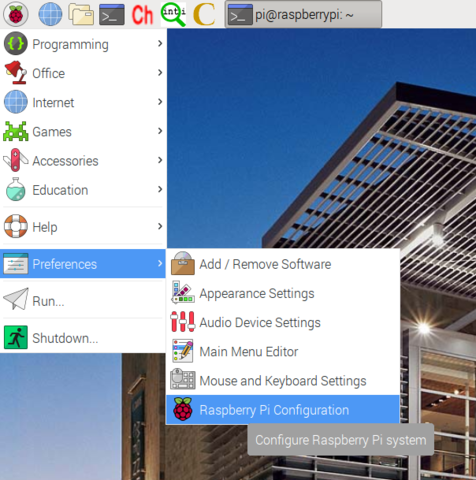 Connect a mouse and keyboard to the USB ports on your Raspberry Pi. You may need a VGA to HDMI adaptor to connect the monitor to the Raspberry Pi. In the picture below, an iPhone wall charger is used as the power source for the Raspberry Pi. You may also plug the USB into a laptop or another power source of your choosing. Raspberry Pi configuration to a monitor, mouse and keyboard. 5. Change your login password through Graphical User Interface (GUI). 6. 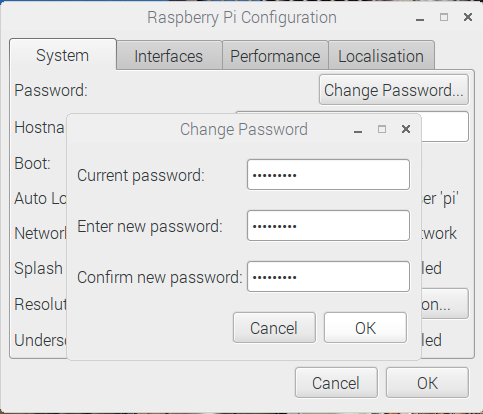 (Optional) Change the host name of your Raspberry Pi. 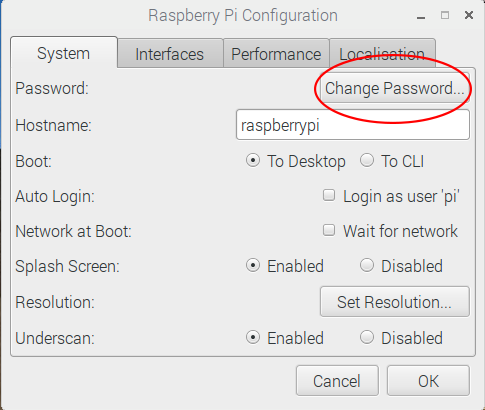 If you will be using multiple Raspberry Pi’s wirelessly in one room at the same time as described in “Access Wirelessly”, you need to change the host name of your Raspberry Pi. Edit the text in the box next to “Hostname” (circled in the picture below). 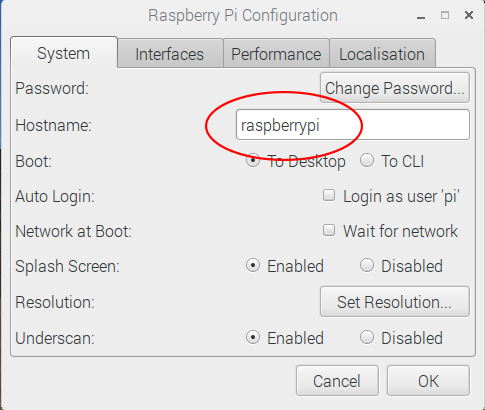 Remove the default hostname “raspberrypi” and type in a unique hostname, e.g.cstem1. Use the new hostname.local, e.g. 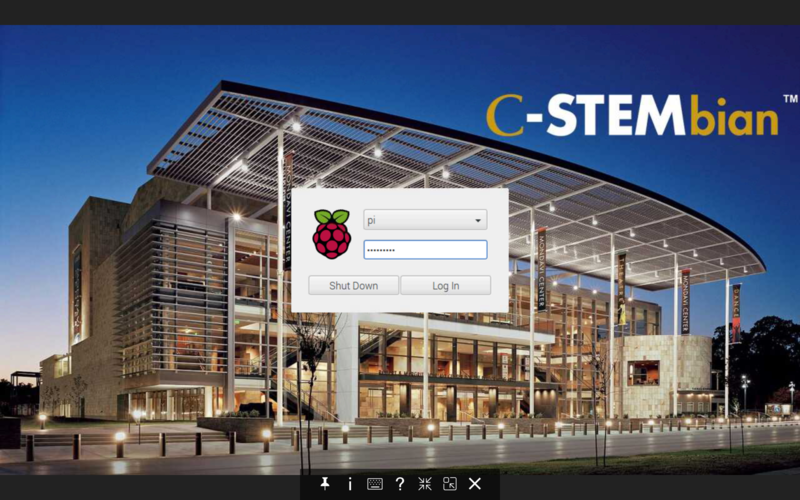 cstem1.local, to access the Pi (3 step 2). 7. You may connect an Ethernet cable to Raspberry Pi directly to access the internet.